I took a work trip to Pittsburgh, PA last week. It was for a computer training seminar, so I spent it indoors without much chance to take photos. 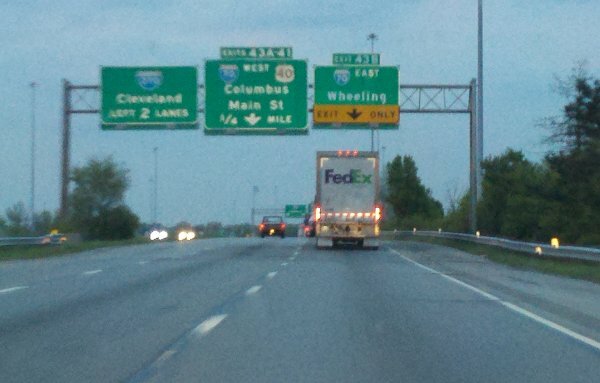 I noticed a rather odd thing driving up. 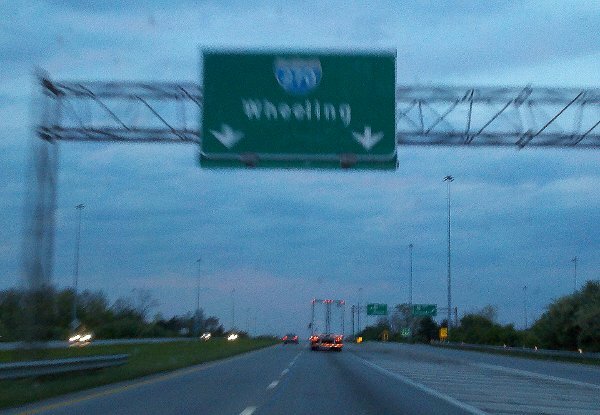 All the way across eastern Ohio, there are signs for the city of "Wheeling", which is a small-ish city on the east end of I-70 within Ohio. Just across the border into Pennsyvania is the Pittsburgh metro area, which is much larger and would make a much more logical choice for "this highway to" signs. I presume some Ohio administrator decided at some point that they didn't want to point people to a city in aother state, no matter how large or prominent. My purpose for this post is this photo. 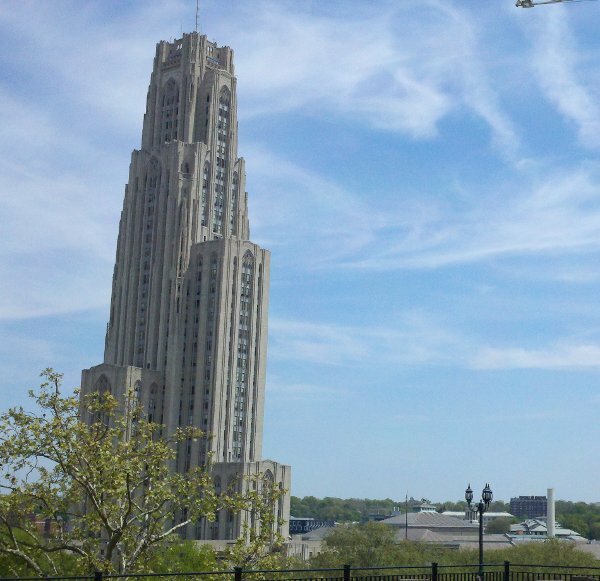 I'm told this buildin in central Pittsburgh is called "The Cathedral of Learning"; I think it's a building in the University of Pittsburgh. It's really quite something. I hope I get a chance to go inside sometime.